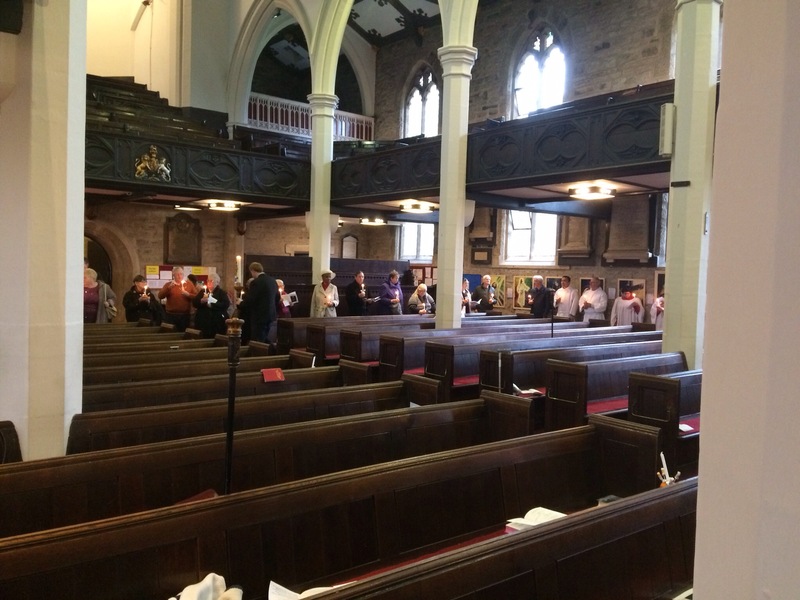 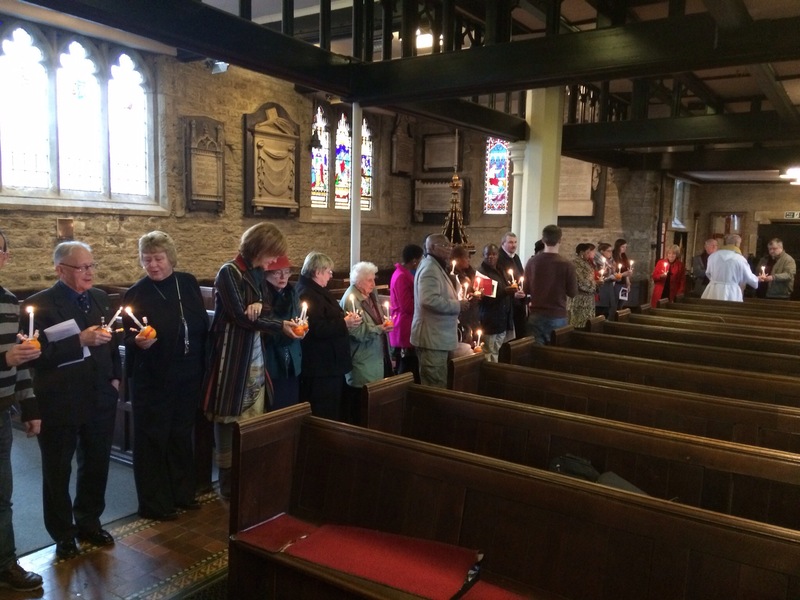 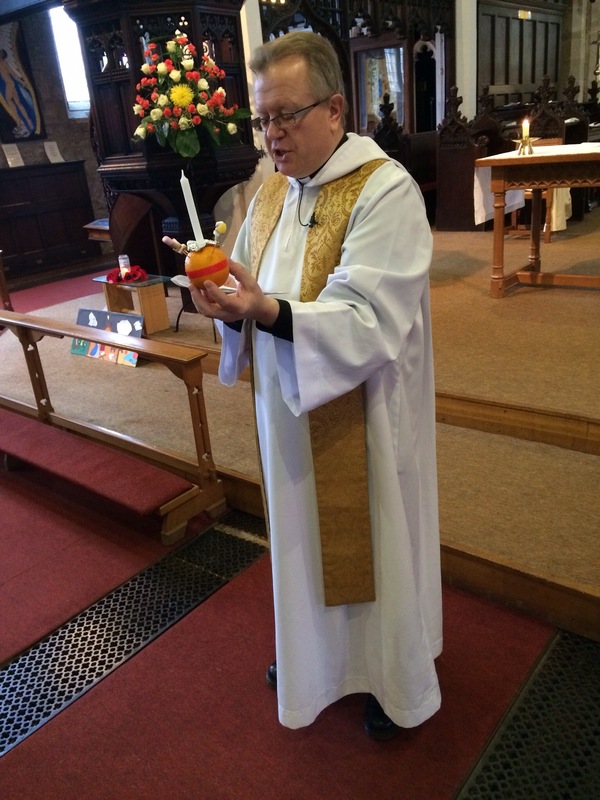 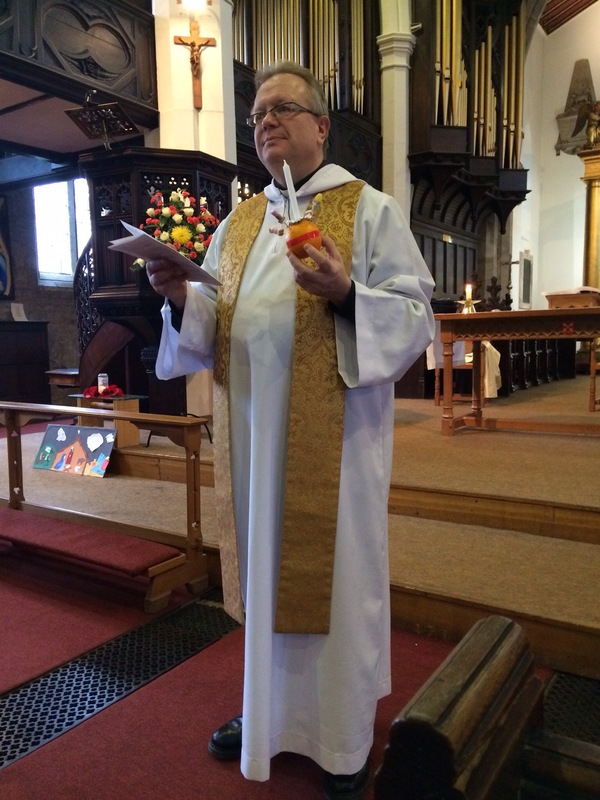 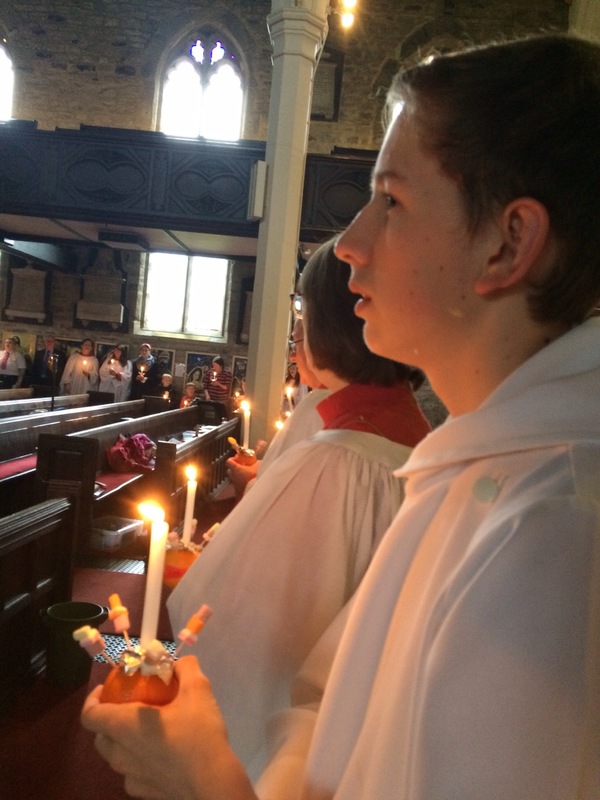 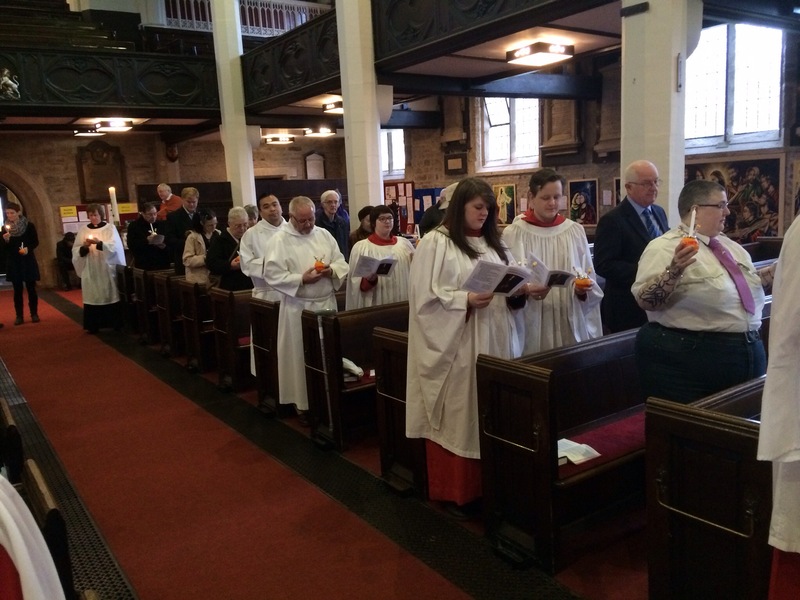 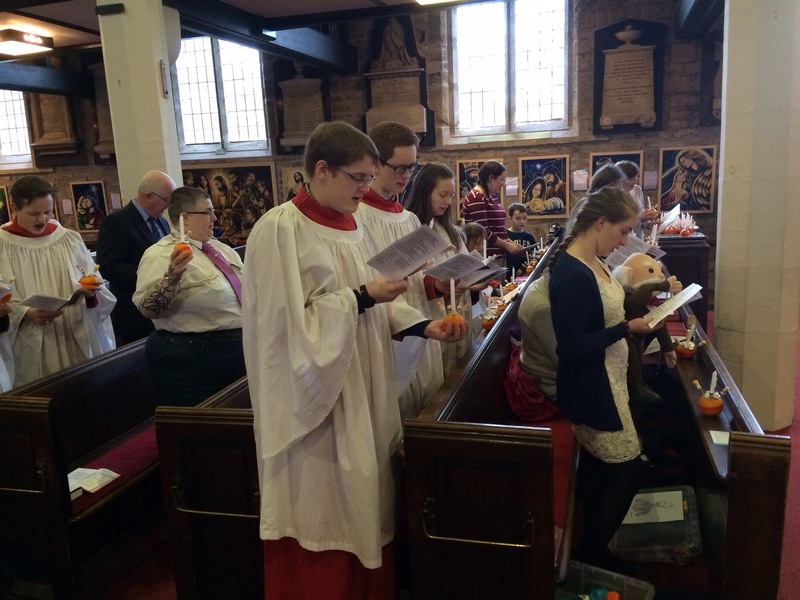 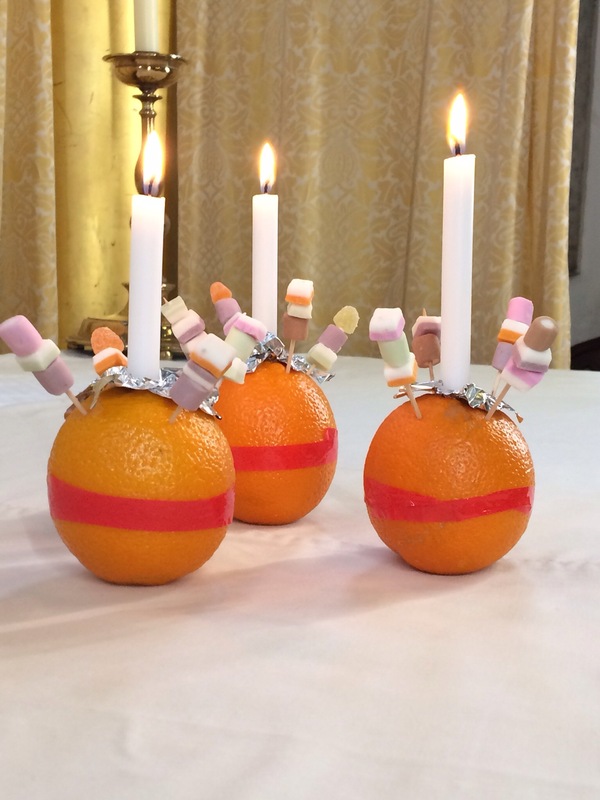 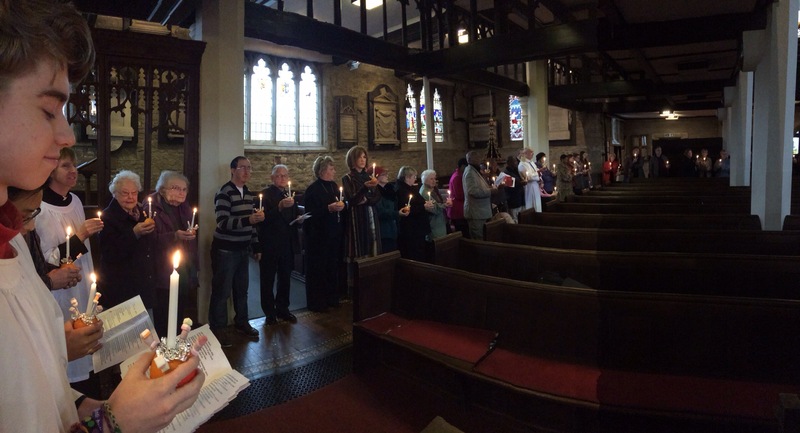 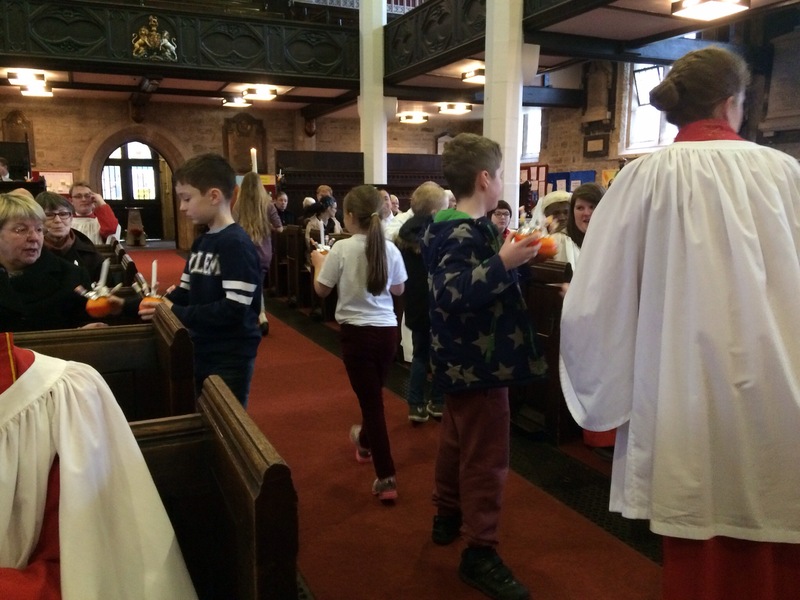 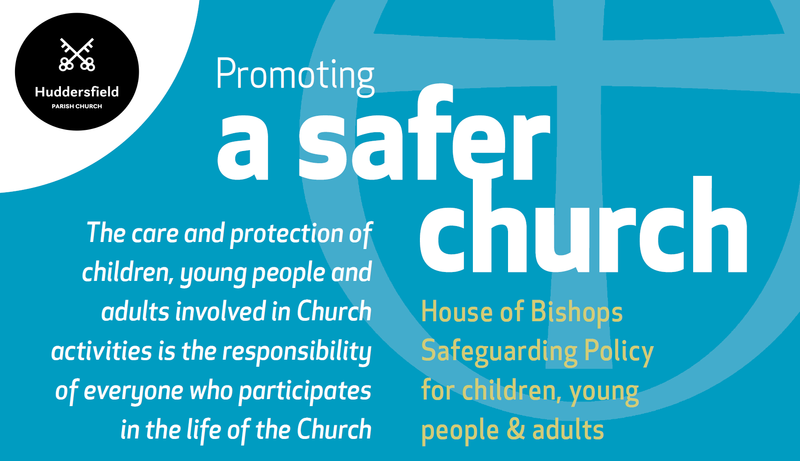 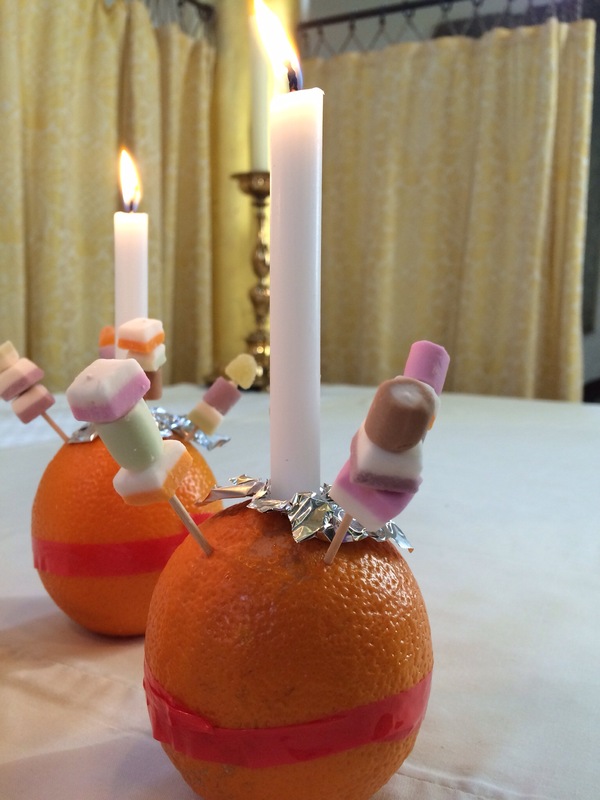 Shine Jesus Shine, Sing Christingle, Hail Gladdening Light and a Stanford Nunc Dimmittis. 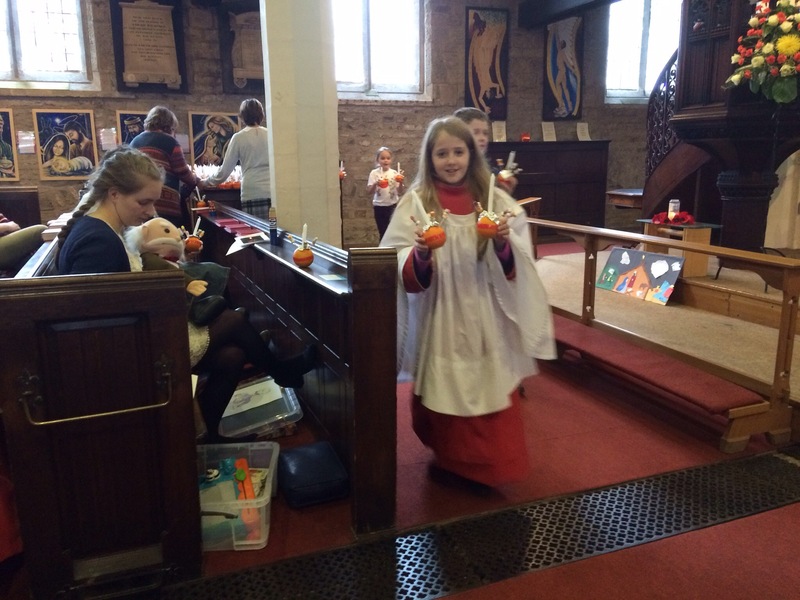 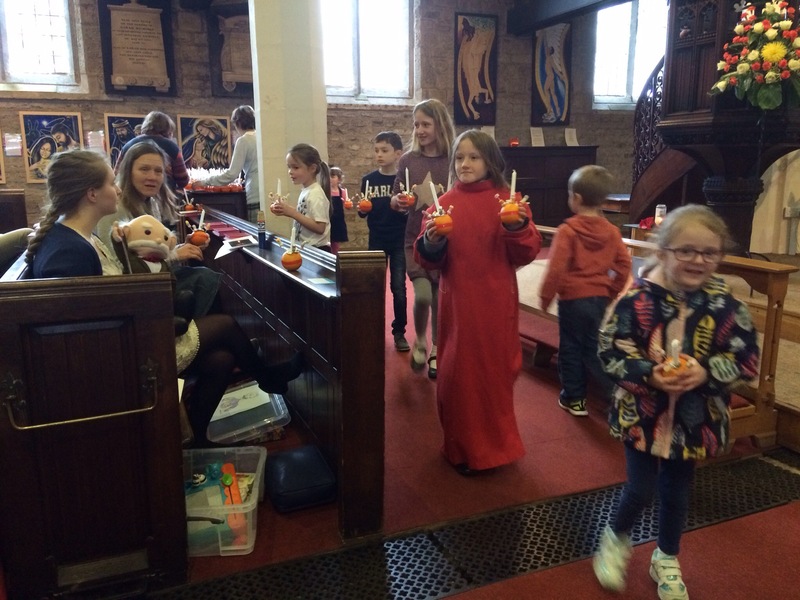 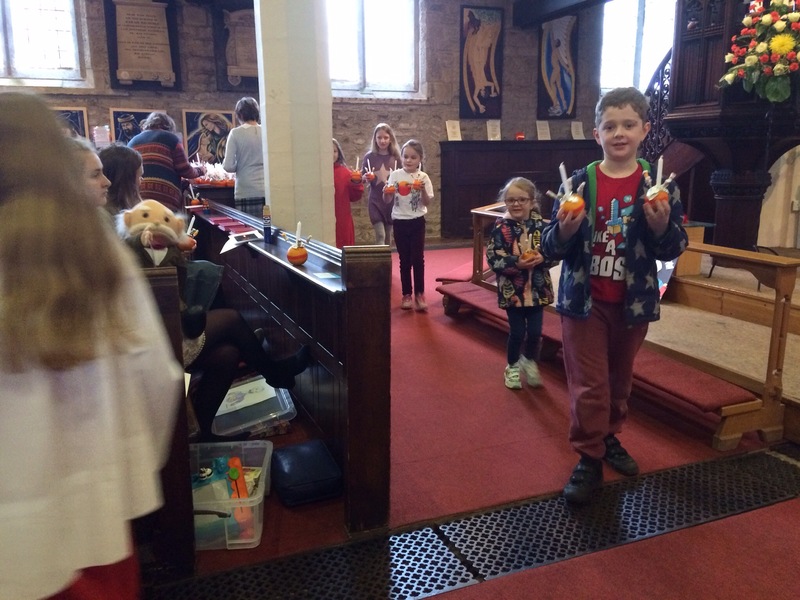 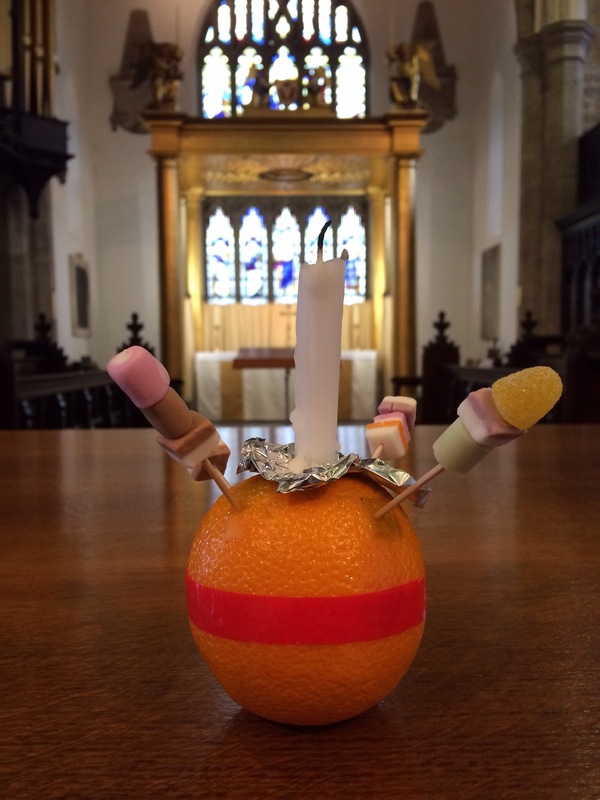 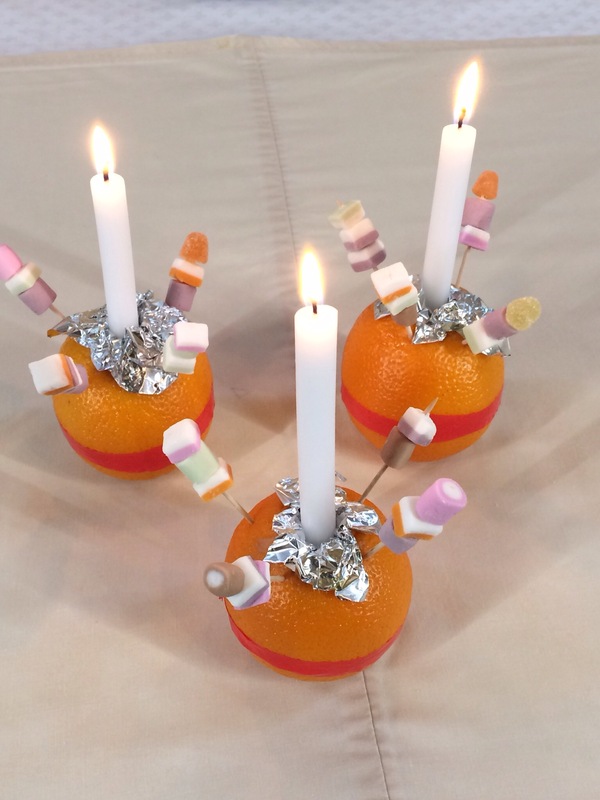 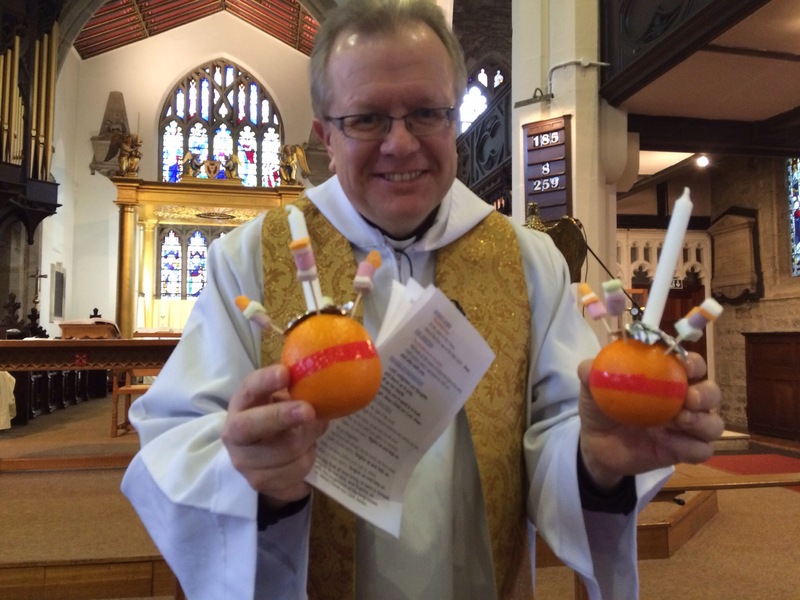 A church circled with folk holding Christingles, a puppet and a formal communion. 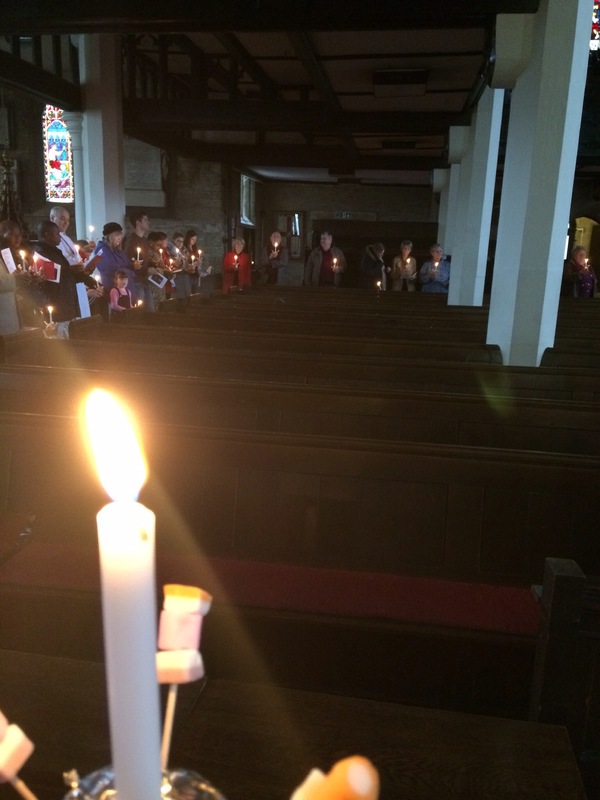 Ceremony, daftness, wonderful eclectic music mix and a family together closing Christmas and celebrating light.